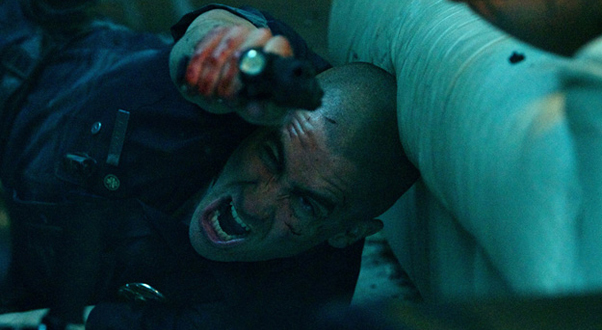 End of Watch is pure frat-boy fantasy, the video game toSouthland‘s great American novel. Sure, Ann Biderman’s superb TNT television program has the luxury of time: Throughout multiple seasons, it’s explored life on the gritty streets of Los Angeles, overlapping stirring, socially relevant vignettes populated by engaging archetypes in order to zero in on the pain of random violence, erosive bureaucracy, and moral dilemmas, all of which resonate profoundly. Conversely, David Ayer’s fidgety pomo genre exercise, essentially a found-footage cop film, never sits still long enough to ponder anything deeper than surface chaos. Here, the immediacy of the kinetic digital image is king, logic and procedure be damned.